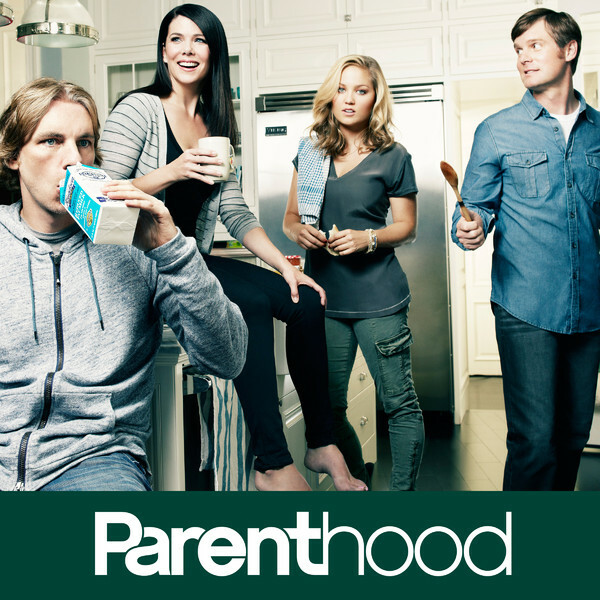 One of my favorite shows on television is Parenthood. I got behind on it, so I used the summer to catch up. I was watching it the other day, and I kept asking myself what made this show so amazing. If you haven’t seen it, it follows a set of two brothers and two sisters as they are all in different stages of raising children. I always assumed the power of the show was that it was so real. It enters into the real life issues you have as a parent. Nothing on the show is far-fetched. With every turn of conflict and drama you see things that you have experienced or know how easily you could. But I actually don’t think this is the true power of the show. The real power comes from the way these events are handled. In our own lives we like to avoid conflict or difficult conversations. We like to ignore money problems or pretend we could never get cancer. If we can, we tend to avoid any sort of discomfort, pain, difficulty or trial. Most of our actual lives end up being a constant effort to avoid these things. But the power of this show is that it walks head first into all of them. When you wish a character would just let something lie, they dive into the awful conversation and you cringe. When you wish things would wrap up into a nice little bow and everyone would be happily ever after, a new conflict arises. When you wish people’s choices had no consequences, the consequences begin to take the main stage. In a world where so many people view life as an endeavor in discomfort management, it is refreshing to have stories that take the struggle and hurt and pain of life and tackle it head on. But it is not simply discomfort, struggle, and suffering for the sake of making us cringe. It is revealing something about life. We are not built to live life with our head buried in the sand. And when problems arise in life and we deal with them, redemption is always close at hand. It may not always come in the form of problems being solved, but in the midst of suffering there is a great deal of community, love, joy, and peace. I love this because I think it reminds us of how the way to a richer and more meaningful life is often walking headfirst into things we would rather avoid. Too much of our lives are spent avoiding difficulty of any kind. We pretend like everything is fine. We ignore problems and hope they go away. We push down our feelings so we don’t appear weak. We avoid confrontation or difficult conversations because we would rather just keep the status quo. This week we are reminded this is not the way life is intended to be. But we don’t do this in a way where we are on the hunt for uncomfortable conversations or tremendous suffering. We do this in a way that helps us think about engaging difficulty in new ways. The difficult roads are the ones that lead us to the most beautiful places. We don’t engage difficulty for the sake of life being difficult, we take them so we can experience a richer and fuller life. We engage difficultly so we have more love, joy, peace and goodness in our lives. This way of life does not always result in life being wrapped up in a tidy bow, but we find heaven manifesting itself along the way. And we always live in light of the cross. The cross is what teaches us how to engage the difficult parts of life. We don’t engage them in a way where we storm in, take charge, and fix it all. The cross teaches us self-sacrificial love. We take the difficulty on ourselves so life can abound. It is a way of life that doesn’t make a lot of sense. It is a way of life that goes against our tendency towards comfort, convenience, success and results. It often seems silly or even senseless. Why endure difficulty when we don’t need to? Because we believe death gives way to life. Engaging the difficulties is the way we experience Lent in Ordinary days. The central Christian message is that death and its results no longer have the last word. It is the most uniquely Christian message but it is built into the very fabric of our existence. When we engage the difficulty rather than shy away, new life occurs. So this week ask yourself a tough question: What are some difficult situations I am avoiding? You may find the engagement of the difficulty to be the path to new life. This entry was posted in Ordinary Days and tagged Conflict, Cross, Parenthood, Resurrection, Suffering. Bookmark the permalink.